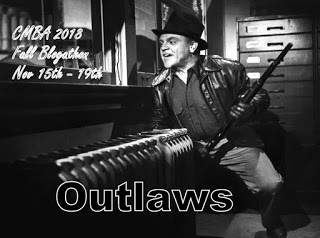 The Classic Movie Blog Association Fall 2018 blogathon focus is on Outlaws. 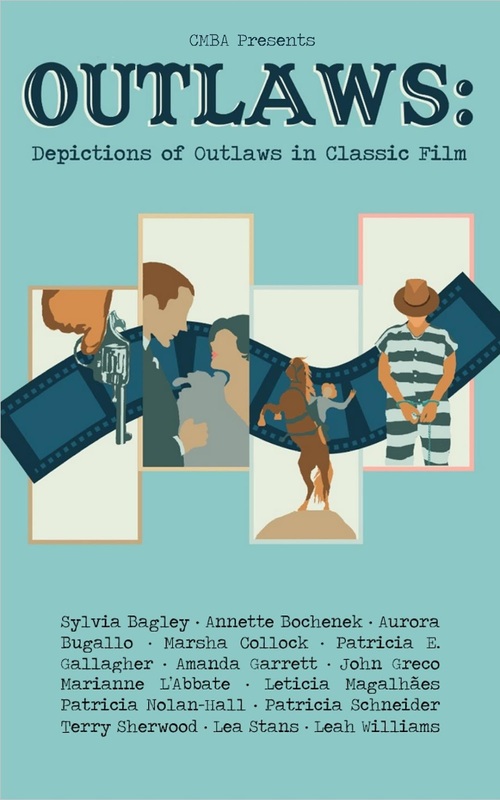 Click HERE to read about the movie outlaws who cross genres and decades. "That money's yours, Grandpa. I know how hard you worked and sweated for it. They got no right to it. Of course, you can't understand that, can you? Cause you're no good. None of you. You're just born takers." Our leading lady is addressing six men, six outlaws who have found refuge in the ghost town of Yellow Sky. There were seven of them when they robbed a bank and were driven by soldiers into the salt flats, but one was killed by their pursuers and the rest were left to die under the unforgiving sun. Mike and her grandfather played by James Barton have been in Yellow Sky since the town was thriving and have been working the abandoned mines every since. That the outlaws survived the desert crossing may be entirely due to their leader. James Dawson aka "Stretch" is played by Gregory Peck and his attitude that this was just one more place to cross, and they could follow him or return to the soldiers as they chose, made him the natural though not undisputed leader. Vying to have things his way is "Dude" played by Richard Widmark. A down-on-his-luck gambler with a bullet in his lung looking for a big score. Robert Arthur plays "Bull Run", the youngster. The rest of the gang have their own stories, "Lengthy" played by John Russell is a mean and entitled man when it comes to women. Harry Morgan is called "Half Pint" and he veers between a slavish follower of whoever will lead and a soft heart. Unkempt "Walrus" played by Charles Kemper is a drunkard which makes him automatically a philosopher and a whiner. Walrus's sentimental side comes out in a lovely nighttime singing of I'm Sad and I'm Lonely. An unexpectedly touching moment in this tough film. The outlaws are tough and dangerous men, although "Stretch" manages to pull off the bank robbery without resorting to gunplay. All of the men, save "Dude" are inordinately proud of their Service in the Union Army. When the outlaws reach the relative safety and the water in Yellow Sky their dynamics are upset by the presence of the pretty young woman "Mike". She is immediately suspicious of the strangers and always on her guard. The attraction between her and Stretch is complicated by Mike's strong moral compass which leads Stretch to unaccustomed introspection. "Lengthy" looks upon Mike as his natural conquest and any soft looks from Stretch or the youngster Bull Run are taken as a blatant rivalry. On the other hand, Dude looks upon Mike's presence as a welcome distraction that may give him the opportunity to take over the gang. The always scheming Dude has determined that the old man and Mike are hiding gold that they have discovered in the old mines. He enlists the others, save Stretch, in wresting it from the hands of the pair. Stretch proposes a deal with the old man as the best way to get the gold, as in a 50/50 split. Originally, Stretch has no more intention of sharing as does Dude, but as his relationship with Mike becomes more important, he sees things differently. Complications and infighting overtake the outlaw gang. Complications from the outside in the form of Apaches friendly to the old prospector create a tense situation that reveals character and sets fate in motion. The desperation of Dude to make his big score and of the remaining gang members to take their share and make it out of the ghost town alive leads to a battle of wills and bullets. Redemption is available to all but will be accepted but only a few. Yellow Sky was based on a story by W.R. Burnett (High Sierra) with the literate screenplay by the versatile Lamar Trotti who was awarded Best Written American Western by the Writers Guild of America. Yellow Sky was directed by William A. Wellman, who previously collaborated with Trotti on the classic The Ox-Bow Incident. Although different in tone, it features a similar story of tough and isolated men facing difficult decisions. This was the only time Wellman worked with cinematographer Joseph MacDonald (My Darling Clementine) and their collaboration, filmed on locations in Lone Pine and Death Valley National Park, created stunningly harsh vistas and gloriously gentle moments of intimacy. 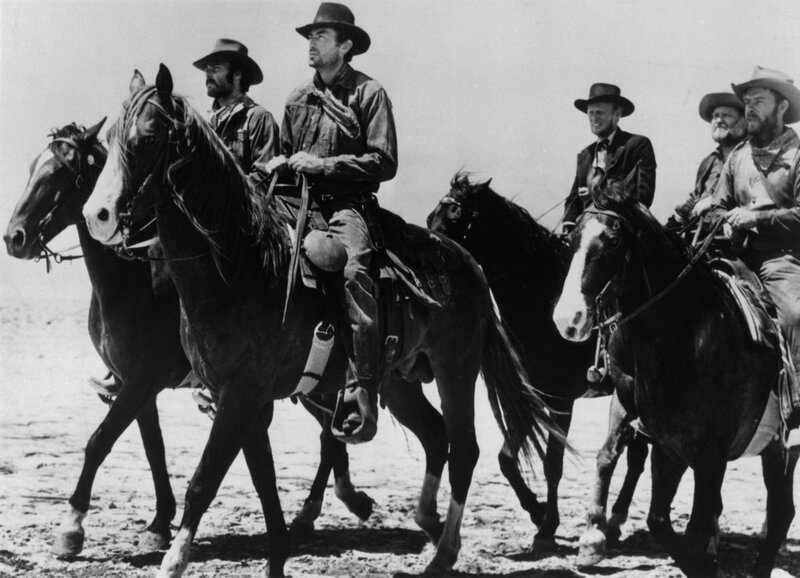 The journey of these outlaws is engrossing drama and a fine western. 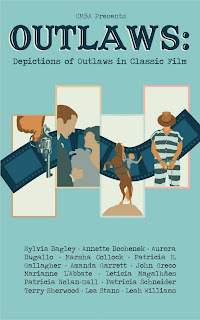 The Classic Movie Blog Association e-book compilation of essays on film outlaws is available on Amazon and Smashwords. Dang, I've never seen this. What a great choice for this blogathon, with such a focus on the motivations of the outlaws, it being their story entirely. You always pick the best. Visually and emotionally, I think you will be impressed when Yellow Sky comes your way. Paddy Lee, I really enjoyed reading your take on THE YELLOW SKY, which just so happens, is one of my favorite Westerns. I first saw this movie on the Channel 3 WREC-TV Memphis, Tennessee LATE MOVIE in the early 1970's. What a story and cast. The unpublished story by William Riley Burnett was bought by 20th Century Fox. Burnett's novel STRETCH DAWSON was published in 1950. 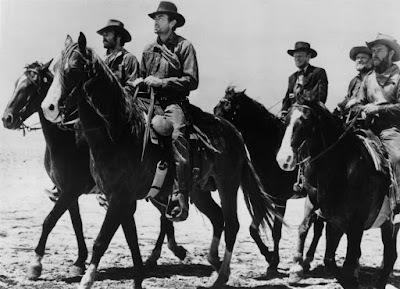 The movie is a tough, off-beat, unusual, Shakespearean, and realistic Western, especially for 1948. I like the battle for the soul of Stretch Dawson(Gregory Peck) and the virtue of Mike(Ann Baxter), with a mountain of gold in between. I highly recommend this movie. My Burnett collection doesn't include that novel. I shall be seeking it out immediately (or putting it on my Christmas list). Thank you so much for reading. I appreciate your input very much. I am sure you will sway some toward this movie who have yet to see it. Enjoyed your post, Paddy. I caught this film some years back and really enjoyed it. Fabulous pick! Thanks. It is an impressive western and should be considered one of the classics. Enjoyed your post very much. It sounds arresting (no pun intended). Sure. No pun intended. Love a pun. I caught this about a year ago without knowing anything about it and was similarly impressed. It was hard to fit Gregory Peck into a Western; he always seemed like a modern man to me. But this one really works; his character isn't bound by Western or any other conventions if they don't make sense to him. It is such fun to be unexpectedly impressed in that way. Peck stars in some of my favourite westerns, but I never think of him as a favourite western star. Indeed, there is something contemporary about the man. Your last line will make me chuckle for the rest of the night. Thanks. Thanks for the write up. Yellow Sky is a favorite due to Ann Baxter and Richard Widmark - who was still in his evil villain stage. I always watch the trek across the Desert with a tall, cool drink in my hand. The actors truly look like they are suffering as they struggle over the sand. I can't watch this or Hell's Heroes or Three Godfathers without making sure we have plenty of ice. I picked a DVD copy of this movie up at the dollar store, but have never gotten around to watching it. I'll make up for that tonight thanks to your fabulous review. I love those bargain bin finds. You got yourself a treasure. I'd love to see Peck in a Western! What a great cast. This sounds like a good one to catch. You must check out The Gunfighter, as well as The Big Country. 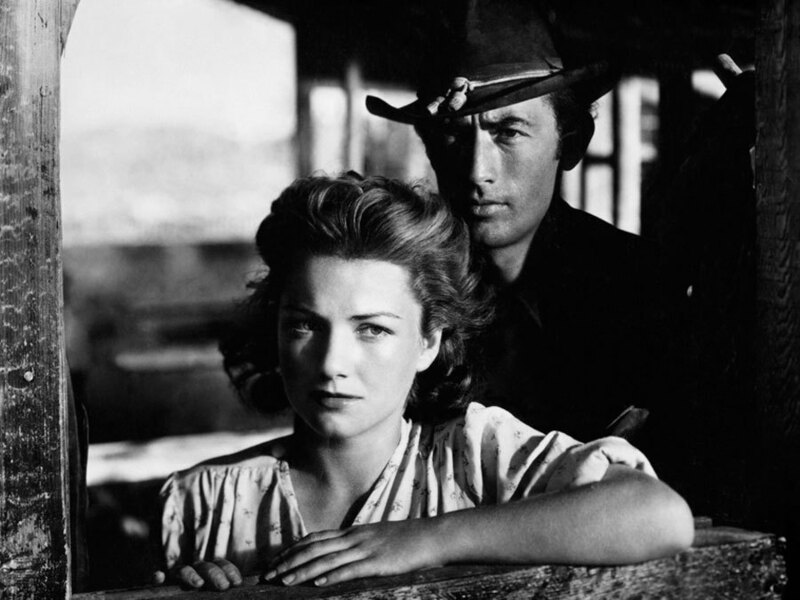 Peck has other westerns to his credit, but those are extraordinary. This looks like a great one, especially with Wellman at the helm. I’ve never seen Anne a Baxter in a Western (was she in very many? ), but I expect she’d be great in the genre. That photo of her you posted is stunning! Anne's first movie in 1940 was an MGM Wallace Beery western called 20 Mule Team. I like Three Violent People, a 1956 western with Anne torn between brothers Charlton Heston and Tom Tyron. She was in three western remakes, The Outcasts of Poker Flat in 1952, The Spoilers in 1955 and Anthony Mann's Cimarron in 1960. Quite a variety of westerns and characters for her to play. It’s an unusual, literate Western and one that could be updated to contemporary times into a drama like THE PETRIFIED FOREST...or HIGH SIERRA. Yes. An updating would be intriguing and offer fine roles for the right actors. I like the way your mind works. Interesting: I had never seen the similarities between Yellow Sky and The Ox-Bow Incident until now. I enjoyed both movies immensely - in special the scenes with Peck and Baxter together and villainous Widmark here - and I now see an interesting double feature in the future! You would make one heck of a programmer. Someday you'll be running your own Film Festival.